Will infra see turbo-charged push from PE money after 2019 elections? 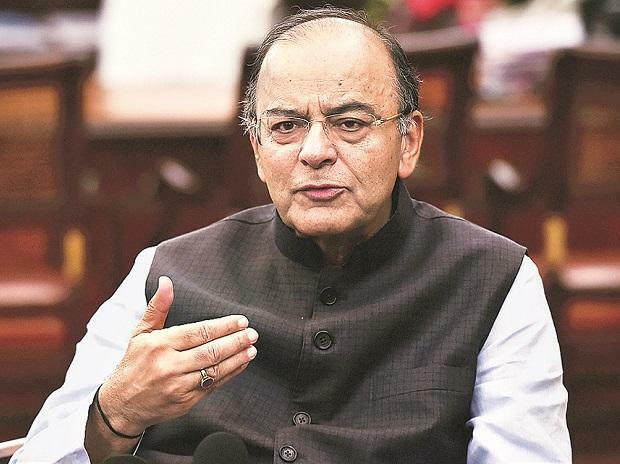 Finance Minister Arun Jaitley on Tuesday took on the 108 economists who had questioned the credibility of official data last week. He said 70 per cent of these so-called economists are compulsive contrarians, a term he had coined to thrash opponents of the Narendra Modi government earlier. On a video released on micro blogging site twitter, Jaitley said when the economy is growing on various fronts, how can one argue that jobs are not being created. He reminded that 108 “so-called economists” questioned the validity of official data a few days ago. The finance minister said these economists are critics of the government who have signed multiple memorandums against it in the last five years. Most of these memorandums are on the issues of politics and not economics, he emphasised. “As against this, credible international institutions like the IMF and the World Bank have always accepted our data,” he said. He said these economists said the Indian economy had not created jobs, which is a myth. To buttress his point, he quoted a recent survey of MSME published by the Confederation of Indian Industry earlier this month which indicated a growth of 13.9 per cent in net jobs created over the last 4 years. "The overall job additions would work out to 13.5 – 14.9 million per annum. The reality of growth rejects the fake campaign of job losses in India," he said. To validate his point, he said the infrastructure growth during the tenure of the current government in this government has been the fastest. He said this government builds 10,000 km of highways every year, electrify every village, provide sanitation to every home, build houses, create urban infrastructure at unprecedented growth of metros, flyovers, roads. “When the construction industry grows by 10 per cent, when electronics industry where we essentially relied on imports is today having a monumental growth as far as India is concerned and lastly huge infrastructure is being created in rural areas, in urban areas, manufacturing is going up in various sectors, the economy is the fastest growing, a fake campaign (has been launched) that all this growth does not create jobs. I think nothing could be further from truth,” he countered the economists. Jaitley rolled out statistics to substantiate his point -- India is building 134 KM rural roads a day, more than 10,000 KMs of national highways a year, with 102 functional airports, India’s air traffic has seen the largest ever growth. "These facts demolish fakery that jobs are not created," he stressed. On Thursday last, a group of 108 economists and social scientists called upon their colleagues from across the ideological spectrum to impress upon the government, irrespective of the party in power, “to restore access and integrity to public statistics, and re-establish institutional independence and integrity to the statistical organisations”. “The national and global reputation of India’s statistical bodies is at stake. More than that, statistical integrity is crucial for generating data that would feed into economic policy-making and that would make for honest and democratic public discourse,” the economists said in an official statement. They said that it was imperative that the agencies associated with collection and dissemination of statistics like the Central Statistical Office and the National Sample Survey Organisation are not subject to political interference. The signatories included prominent economists and social scientists such as Abhijit Banerjee, Pranab Bardhan, Jean Dreze, James Boyce, Jayati Ghosh, Amartya Lahiri, Sudha Narayanan, Ashima Sood, Jayan Jose Thomas, Vamsi Vakulabharanam and others. "A few days ago, 108 so-called economists issued a statement questioning its (official data's) validity. I analysed those economists and found out that 70 per cent of them are compulsive contrarians, critics of the government who have signed multiple memorandums against this government in the last five years. Most of these memorandums are on the issues of politics and not economics."